Why Us? Because we are the BEST! We are highly professional, flexible, and easy to work with. Our compassion and charm work like magic on every shoot!! Stella Pacific Management is a wonderful group of studio teachers/welfare workers, baby wrangler, acting coaches, interpreters, nurses, set medics, and stunt divers. Our client list includes some of the top commercial, film, and television companies in the entertainment industry. We can't wait for the next challenging job so we can seize the opportunity to share and help make that film, show, commercial, or whatever project at hand, the most successful and memorable experience for all! How can I order a book version of the Blue Book? In many states, Child Labor laws require production companies to hire tutors for kids who work on film, television, commercial or print photography or any other type of production. 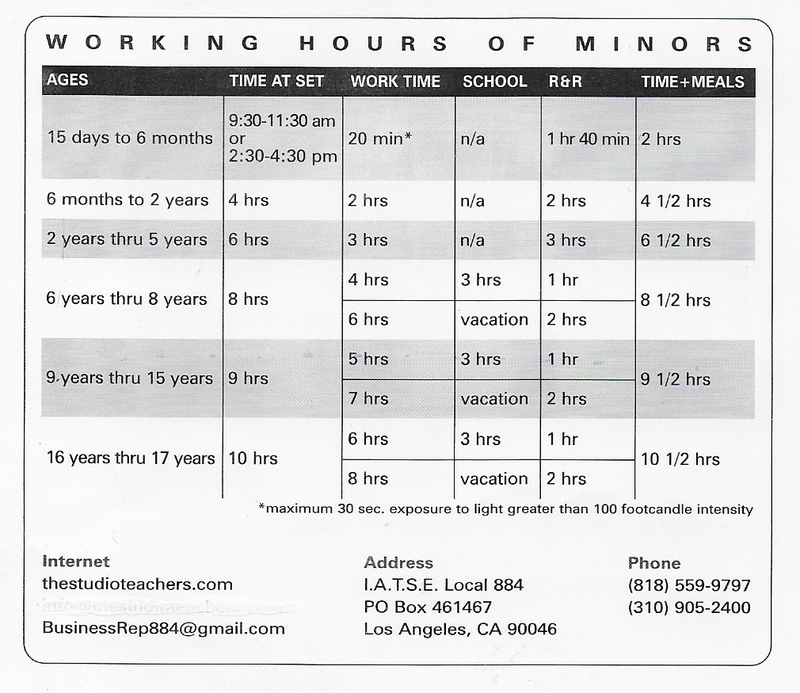 In California, these child tutors are licensed by the state and are called Studio Teacher/Welfare Workers. It is the responsibility of the production company to hire a Studio Teacher/Welfare Worker for the education of all minors under 18 years of age. In addition to tutoring kids on set, a Studio Teacher’s job is to look after the health, safety and welfare of the working child. This Law May Affect You, Regardless of Your Home State. Copyright © 2019 Stella Pacific Management - All Rights Reserved.